Acclaimed Authors Bill Minutaglio & STEVEN L. DAVIS speaking and signing Dallas 1963 Here at long last is an accurate understanding of what happened in the weeks and months leading to John F. Kennedy's assassination. With spellbinding storytelling, Minutaglio and Davis lead us through intimate glimpses of the Kennedy family and the machinations of the Kennedy White House, to the obsessed men in Dallas who concocted the climate of hatred that led many to blame the city for the president's death. Dallas 1963 is not only a fresh look at a momentous national tragedy but a sobering reminder of how radical, polarizing ideologies can poison a city-and a nation. Bill Minutaglio has been published in the New York Times, Esquire, Newsweek, Texas Monthly, and the Bulletin of the Atomic Scientists. A professor at the University of Texas at Austin, he worked at the Dallas Morning News, Houston Chronicle, and San Antonio Express-News. He has written acclaimed books about George W. Bush, Molly Ivins, Alberto Gonzales, and America's greatest industrial disaster. He lives in Austin, Texas. STEVEN L. DAVIS is the author of two highly praised books on Texas, and his work has appeared in several magazines and journals. Davis is a curator at the Wittliff Collections at Texas State University in San Marcos, which holds the literary papers of Cormac McCarthy and many other writers. He lives in New Braunfels, Texas. Thank you for supporting Bill Minutaglio, Steven L. Davis and your local independent bookstore! Bill Minutaglio , Molly Ivins: A Rebel Life. 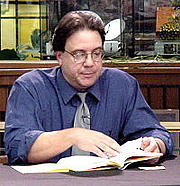 Bill Minutaglio is currently considered a "single author." If one or more works are by a distinct, homonymous authors, go ahead and split the author. Bill Minutaglio is composed of 1 name.